The cap is designed to stop the ingress of water and debris into the vent stack, by the self closing flap which allows full bore venting without restriction when opened. The body and assembly unit incorporate existing Duoloc technology that is used extensively throughout the gas infrastructure, The assembly is held in place by the swaging of the ferrule onto pipe or tube. 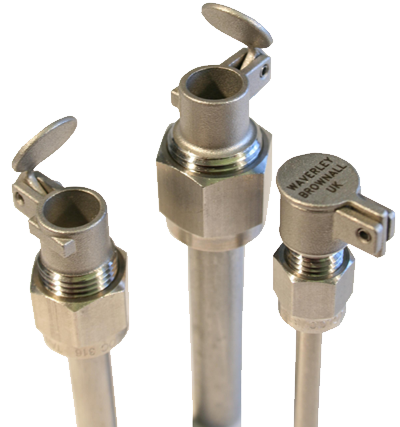 The pressure rating of the fitting far exceeds the release pressure. 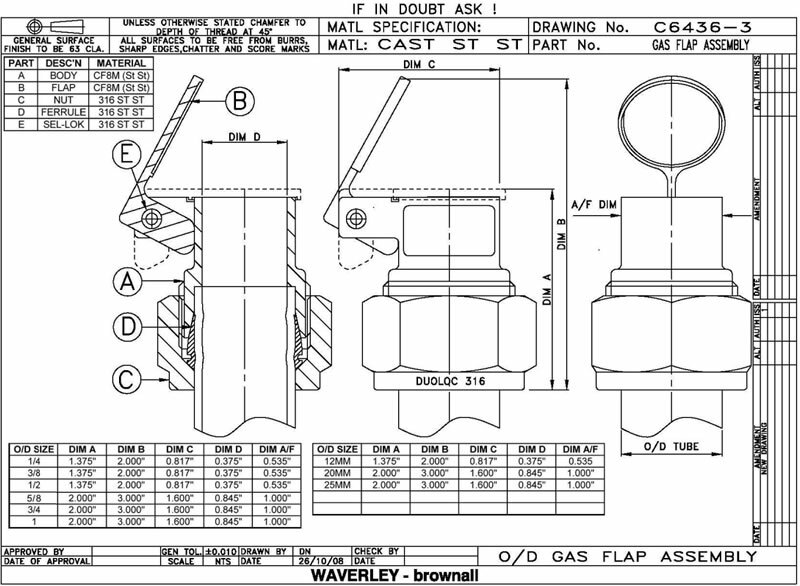 Engineers are familiar with the assembly mechanism as installation of the gas flap assembly will be the same procedure that is used for all Duoloc single ferrule fittings, and only required’s a spanner. The selection of the materials used meet the following criteria. They are resistant to general corrosion. They are resistant to environmental degradation. They are resistant to chemical attack due to the natural gas. They are capable of cycling open/closed a minimum of 150 times in any ten year period without failing. For more information, click here to download a PDF data sheet.